Is my dog a Coton? I bought Mitzy and was told she was a Coton. We love her and she is now part of our family,BUT we aren't sure she is really a Coton. She has pink eye rims, pink paws and we aren't sure her short tail and ears are consistent with the Coton. Her feet do not look as fluffy and big as most Coton pictures we have seen. Her body is a little long (like a maltese). We did buy a DNA test and are awaiting the results. We did not know much about the Coton breed when we fell in love with her and had also never purchased a pet. We now know how wrong (in many ways) people feel it is to purchase a pet from a pet store. 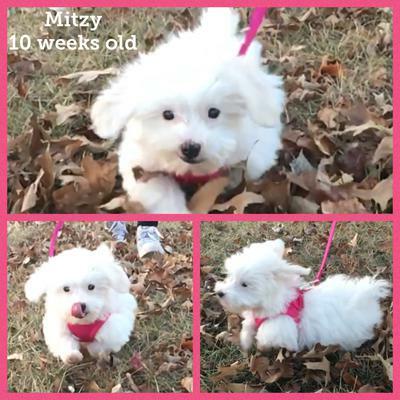 We purchased Mitzy from petland here in Wichita, Kansas (horrible staff and experience, but you can't help what your heart falls for. If she is not a true Coton like her papers say, we do plan to discuss the concerns of the faulty purchase with the store owners. We researched the Dam and Sire and it was sketchy. The breeder and broker (same) seems terrible and it makes us sad. So now that we have rescued her from Petland, is she a Coton? Comments for Is my dog a Coton? After six years I finally went ahead and purchased a dog DNA kit. We got our Pogo from a local dog shelter and I have been trying to figure out his breed ever since. Everyone who meets him has a different opinion and I have heard everything from Havanese, Maltese, Westie, and Bichon. For me it was out of pure curiosity because I just had to know! When the test results came back it showed he was mostly coton de tulear, with a strong secondary gene line of a Maltese. So he is a Cotonese! I would guess that your puppy may come back as a mixed breed of some kind. But he is still a "designer dog" and most importantly you probably rescued him from a puppy mill so you should feel really good about that. I think the only way to ensure a pure breed dog is to go straight to a breeder. 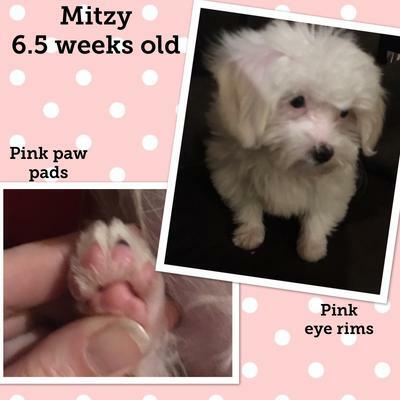 Well Mitzy looks similar to my Coton, Bentley although my vet says he is a bigger Coton. The ears and the pink eye is not unusual due to low pigmentation on a white dog...the black eye ring doesn't always form around the eye. It took yrs for Bentley to develop his eye ring...he is now 5 yrs old and I still make the groomer keep his hair long to protect his pink skin near the eye from getting sunburned. My Woofy also is doubtful, because the SPCA said he was a MORKIE, what the fifteen pound guy isn't. His fur is definitely dry coton and coton like. Wait until your dog is aunt and use the quality of the fur as the defining trait if you are able to match up the usual characteristics. And who really cares if he is your perfect match? There are lots of people who think they have cotons and do not. If your dog’s ears are more Maltese and not longer like Coton’s, you either do not have a full coton or you have a less than desireable trait in your fur baby. But if you aren’t trying to have a pure pedigree for show, then who cares, right? Most pups here are not full coton from what I see. Yes, I do expect to receive a partial refund. Don’t get me wrong, We love our dog, but I also like getting what I paid for. I don’t intend to return her, but I don’t particularly like paying a Mercedes price for a pinto. I have definitely learned from the experience and will never buy a pet from a pet store, especially Petland. I don't understand what you're saying. If she is part of your family, then everything else doesn't matter. Or this is about getting refund?! 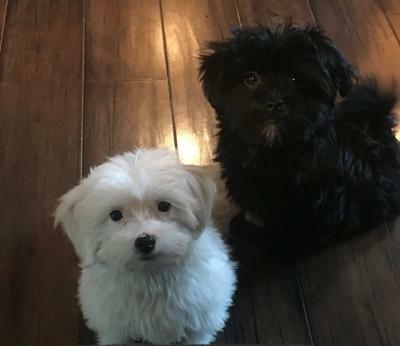 Your pup looks like a Maltese mix. Mitzy was 10 weeks old in the photo that states 6.5 weeks. Sorry. In the picture that says Mitzy is 6.5 weeks old, I meant to type 10 weeks old. Sorry.